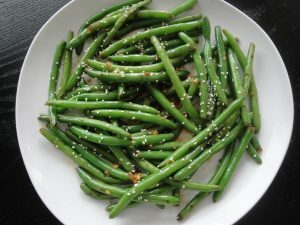 Vegetable Restrictions on the HCG Diet Why Can’t I Have Green Beans? - Do-It-Yourself HCG Vegetable Restrictions on the HCG Diet Why Can’t I Have Green Beans? We follow Dr. Simeons’ Protocol for the HCG Diet because we feel that after Simeons completed 20 years of studying and working with real patients, he probably figured out EXACTLY what works and what doesn’t. In his manuscript, he wrote, “There are a number of foods, particularly fruits and vegetables, which have the same or even lower caloric values than those listed as permissible, and yet we find that they interfere with the regular loss of weight under hcg, presumably owing to the nature of their composition. 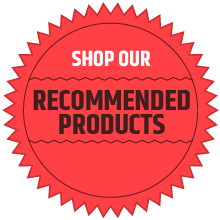 Pimiento peppers, okra, artichokes and pears are examples of this.” Dr. Simeons researched to find the exact food items and portion sizes that a person could eat with hcg in their system and still achieve maximum weight loss results. You only have a maximum of 40 days in a round and then you must stop following the low-calorie diet/losing weight and give your system a break for 6 weeks while you follow the guidelines of the maintenance phase. You will want to do the diet INTENTIONALLY to make sure you make the most of those 40 days. Customers frequently ask us why only certain vegetables are allowed on the diet or why you can’t mix vegetables? Keep in mind that the hcg alone does not make you lose weight. It is only when the hcg is taken in conjunction with following the very specific diet that rapid weight loss occurs. 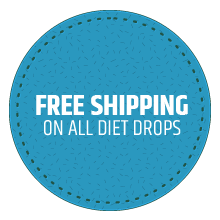 Many people claim that they can eat green beans, broccoli or turkey and still lose weight. However, they will never know how much weight they could have lost if they followed the diet as instructed. Although this is a rather short list, if you’re not a fan of vegetables, you can hopefully find a few you enjoy. Be aware that eating a majority of the items on this list is all the better, since you’ll glean a wide variety of vitamins and nutrients from the different vegetables. Also, keep in mind that there is no restriction on the amount you can have during each meal of most of the veggies on this list. You certainly do not have to measure your vegetable serving. Two cups are a starting point, but you can have as much as you want. For example, you can have a whole head of lettuce or a giant cucumber as long as you eat it all for that meal, aren’t adding other vegetables, and aren’t eating it throughout the day. The exceptions to the “eat all the veggie you want at mealtime rule” are tomato (we recommend 1 large or 2 small) and onion and fennel (we recommend 1 medium) since these have a higher carb count than the other vegetables. Check out our free recipes located on our website or consider purchasing the 101 Worry-Free HCG Diet Recipes cookbook for ideas on how to prepare all these great veggies!